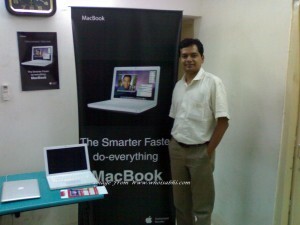 MacBook Air the Third series of MacBook is now available in Nagpur( My Home Town, In Center of India ). Well I was not knowing that Apples products are available in Nagpur, Thanks to Chetan for looking here and there while Biking, We were just passing through Dhantoli (In central Nagpur ). He saw Apple Authorized Dealers Board over some Building. With Curiosity we Entered the office without even caring about our dressing and beard. The warm welcome From Shantanu Gadre(Head at NGRT) can’t forget it ever !! And a great time and Knowledge share from Ravi Rao. Just a Memorable Event. All Credit To NGRT Team. Don't Look after me , I am not well dress not even shaved. 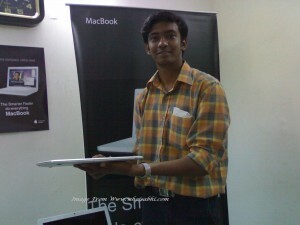 Have look to Macbook Air in my Hand, so thin. 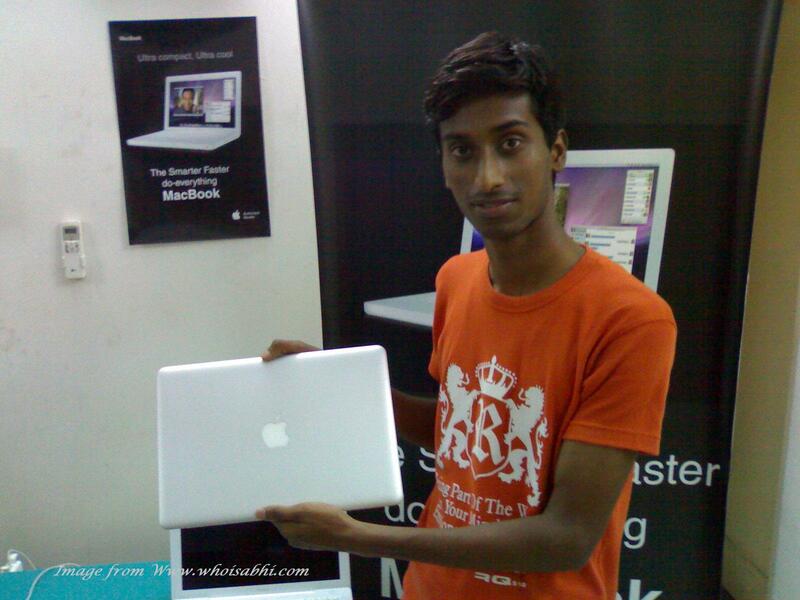 Get back to Mac Book Air. Just 13 inch and 1.36 KG Macbook , I was ammazed !! its so slim just like my long exercise book. 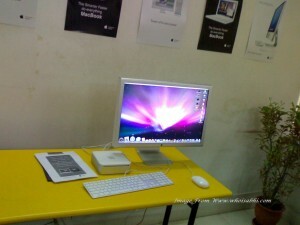 it had core 2 duo processor along with 2 GB RAM, 80GB 4200-rpm PATA HDD , Built-in 802.11n Wi-Fi2 and Bluetooth 2.1 + EDR , iSight Camera and micro DVi, built-in airport extreme (802.11n) and many more feature. And Not least Battery Performance 5 hours along with Wireless Productivity. ← Post Mortem of 3230 is complete !! That was good that the sales people at the apple store treated you guys well,you know sometimes sales persons can be choosy on whom to pay attention to not knowing if you are really going to buy their product. tynas last blog post..The Dumbest Generation? Fine.. are you from Nagpur? me too. Actually, I didn’t find About link on blog thats why commented here. 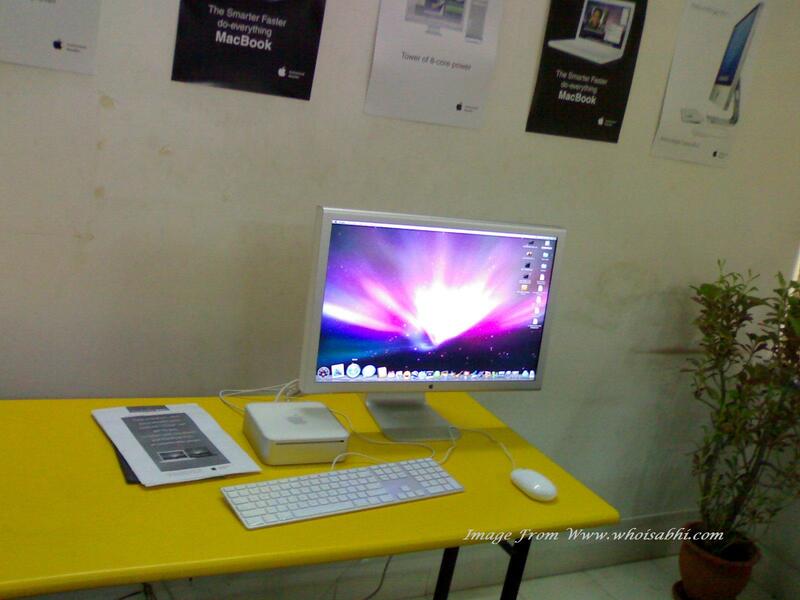 @ Ashok , its in Dhantoli near to garden. 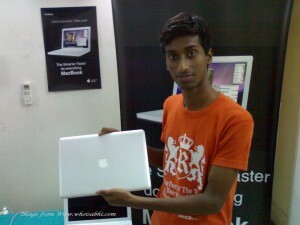 @ tyna, Must say that was my luck.